austraLasia - 5056(I)_What makes you happy as Salesian Cooperator? 5056(I)_What makes you happy as Salesian Cooperator? 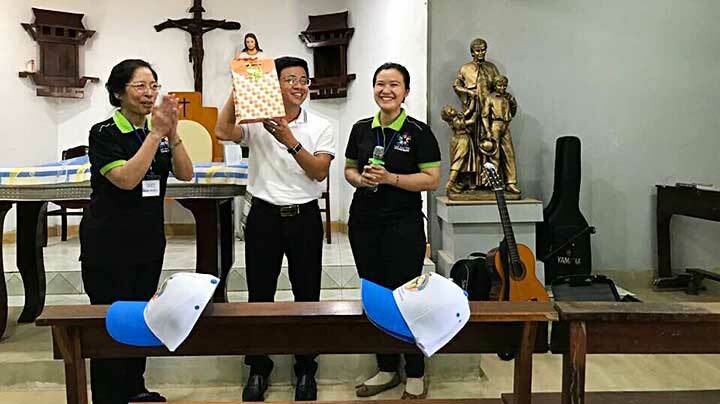 HCM, Vietnam, 3 April 2019 -- What makes you happy as Salesian Cooperator? Being a Salesian cooperator, I am very joyful and happy. I have learned and deepened my understanding about Saint John Bosco and his educational preventive system through the Salesians of Don Bosco. I admire and love Saint John Bosco, a Saint who loves, takes care of poor youth who are abandoned. God blesses me and the young when I accompany them: Through the educational preventive system of Don Bosco, the young in my family are living in a good environment of education. They started to believe in God, in Mary Help of Christians and they wish to receive the Sacrament of Baptism. The young people in ‘Don Bosco youth’ group of my parish have overcome the difficulties and challenges of their young age, graduated, having a stable job and many of them are now married. 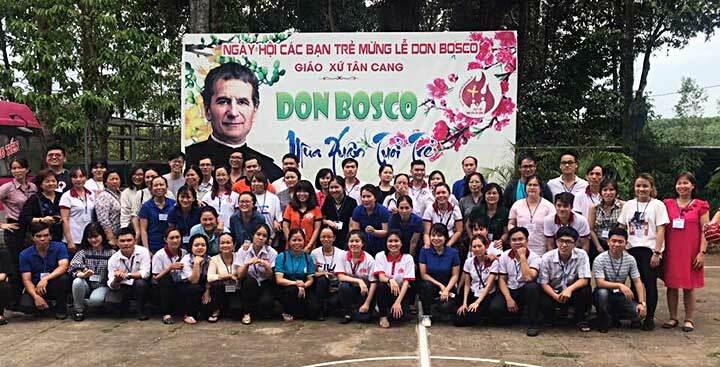 When I join in the SCA, I have many friends who love Don Bosco, accompany me to go to poor youth s who are encountering difficulties in their life (though I have also my own limitations). 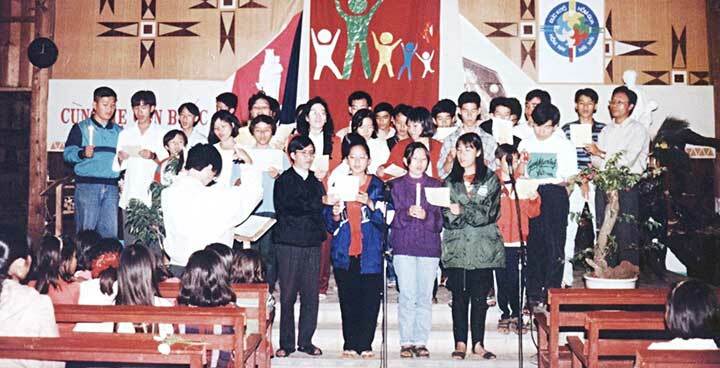 Personal limitation: financial difficulty has limited me in carrying out the apostolate activities such as visiting the young in different centres so as to introduce Saint John Bosco and the Salesian cooperator vocation to them. As a member of provincial council, I see that the majority of the association’s members are elderly and have financial difficulty in recent years as the challenges. The average age of the members is 55. Rejuvenating the centres and association by inviting the relatives and friends of the cooperators. 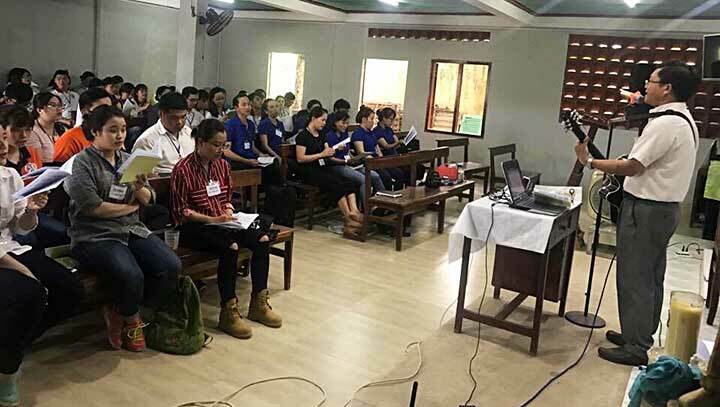 Those who have been attending the group so called ‘cooperator animators’ organized at Tan Cang Salesian community, through that activities they can introduce Don Bosco and ASC to the young. There are some Salesians in charge of the centres who do not pay much attention to the members of ASC of their centres in order to support, sustain and giving them proper formation because of different reasons. How do you prepare yourself to become a formator? I am preparing myself to be a joyful and friendly witness and trustworthy. I need to deepen my love and service of Don Bosco and Mother Margaret to the young, the project of apostolic life and upgrade the latest documents and guidelines for formation from the Salesian congregation. Participating in the meeting at the regional level was good. I have learned many new ideas, experience from the ASC of EAO of how to live the apostolic life as the Salesian cooperator. I think the coming workshop of the formators for Salesian cooperators in Cambodia will be helpful. I expect the content of the meeting will help the formators to find out ways to implement the guidelines of formation in our context of today. How do you put into practice the four pillars of Salesian Cooperators formation? To know: The knowledge of history, pedagogy and spirituality of Don Bosco. This knowledge must be learned from daily life. To know how to be: The formators know how to bear witness to Christ by their choice and faithfulness to their vocation (Be integrated into the association and know how to transmit and live the sense of belonging to the association). To know how to live in communion: The formators have responsibility to take care of and ensure that the chosen style for the meetings and encounters for formation must highlight the Don Bosco spirit. 5054_Somewhere between Plato and the 'Mappa Mundi'! 5053(I)_What makes you happy as a Salesian Cooperator?